During the summer months here in michigan our fishies open a few "out of the ordinary" windows with different forms of suggested life that they are willing to commit in pursuit of killing it. Over the last few summers I've noticed big, fast, displacements attrack quite a few predatory fish. It's summer fun kill mode in the skamania that migrate on our West side rivers. 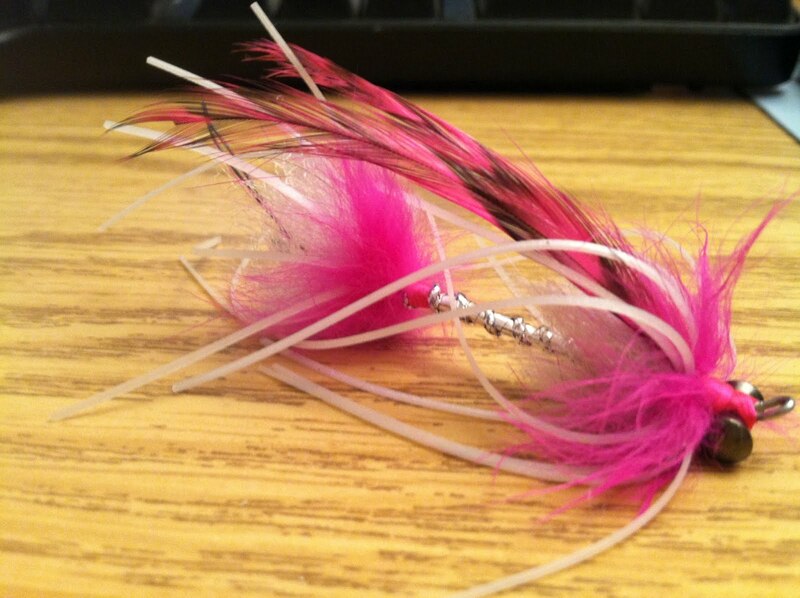 Over the next couple weeks I plan on filling a nice size box, full of these squidro's in various colors. Everyone uses and ties these in different. I tried my best attempting what I believe to be the best method. Tie them in facing the opposite direction that you plan on locking them down in. Trim the tags ends roughly 1/16" and fold the long section over and secure bunched up with the tag ends. This provides resistants against the water as the fly swings. fly swings. Now go get on the vice already and have some fun!! !